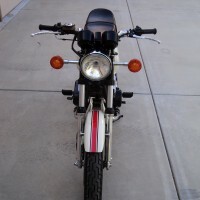 Restored 1976 Suzuki GT750A Motorcycle. This Kettle was completely restored by its owner. 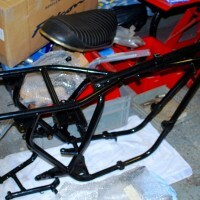 The frame and associated black parts were powder coated. The crank was professionally rebuilt with all new bearings and seals. The con rods and big end bearings were replaced. 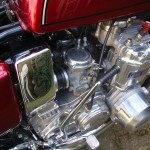 The cylinder block was re-bored and new pistons were fitted. The gearbox bearings were checked and replaced as necessary. 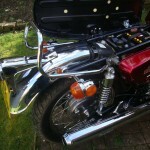 All new oil seals were used and a new clutch was fitted. 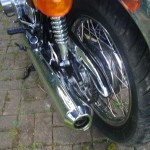 The exhaust was replaced with a new Delkevic system. 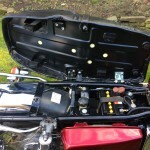 The carburettors were striped and ultrasonically cleaned. The wheel hubs were stripped, polished and rebuilt with new bearings and seals. 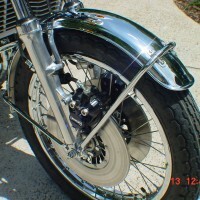 The original wheel rims were re-chromed and rebuilt with stainless steel spokes. New wiring looms were installed. The brakes were re-conditioned and new pads and shoes were fitted. 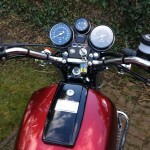 A new master cylinder was fitted. 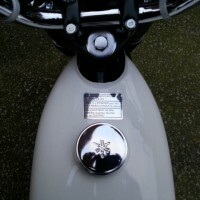 The rear mudguard, rear light bracket and the air box covers were re-chromed. 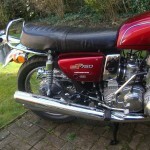 Another lovely GT750 added to BikesRestored.com. 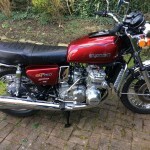 Suzuki GT750A – 1976 For Sale or Wanted? 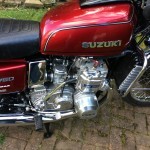 If you're looking for the perfect Suzuki GT750A – 1976 for sale then take a look at the hundreds of restored classic motorcycles listed on our extensive Motorcycles For Sale pages. 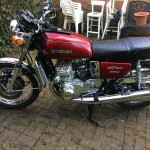 We regularly feature very nice restored Suzuki GT750A – 1976 bikes for sale. 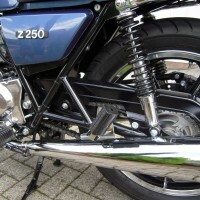 Spares and Parts for your Suzuki GT750A – 1976? Workshop Manual for your Suzuki GT750A – 1976?